If any vehicles are worthy of the term iconic, it surely has to be the Land Rover Defender. The first models rolled off the assembly line in 1948 and it was only 67 years later that production finally came to an end. Known for its solid, simple build and go-anywhere nature, the Defender is prized by a huge range of motorists who appreciate the value of a true off-roader. 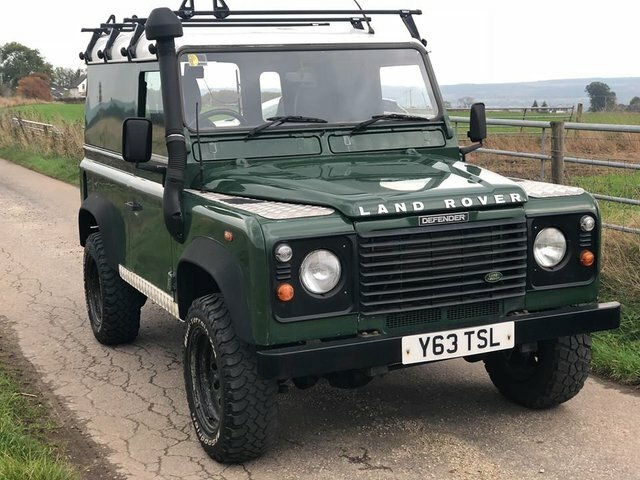 You can be sure of sourcing a quality used Land Rover Defender in Muir of Ord with the help of the team at Castle Cars Highland Ltd. We're a leading supplier of quality used vehicles and will always go the extra mile to ensure our customers find the right used car to suit their lifestyle and budget.